A research handbook for kids who love Minecraft! Your student will learn about Botany, Technology, Chemistry, Meteorology, Zoology, Geology, and Physics with this creative research guide. They’ll use library books, videos, and online research to complete assignments. Your student will also get to try out some of their findings in Minecraft. Make learning fun while tapping into your students interests with this amazing book. Creative children, struggling and reluctant learners, and students with learning challenges all thrive with these books! Choose four books and two documentaries about each scientific subject. 2. Ask your teacher how many pages to complete each day. 3. 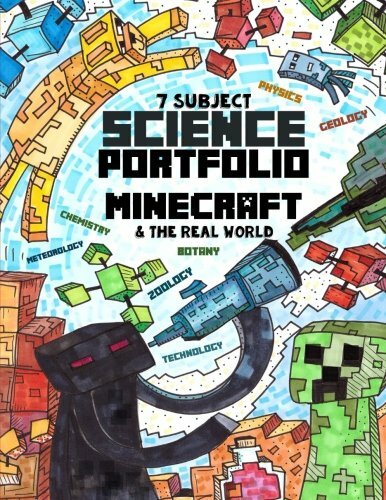 Be ready to build something in your Minecraft world based on each scientific subject. 4. Use gel pens and colored pencils to complete the activities that require color.